The same homes in 1890. Rowhomes on the northwest corner of Logan Circle in Washington, D.C. 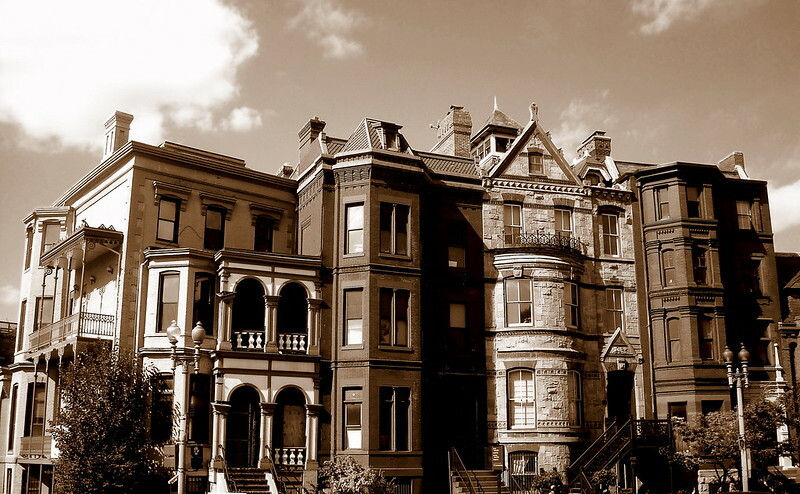 The buildings are contributing properties to the Logan Circle Historic Distric. Image published by NCinDC on 2008-11-06 13:36:01 and used under Creative Commons license.